The Wismec Sinuous Solo is an outstandingly high quality pen style e-cigarette which uses the WS family of atomizer heads. 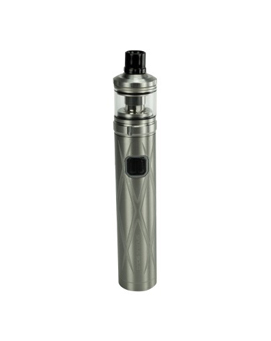 The Sinuous Solo has two modes which are automatically selected based on coil resistance: 15 watt constant power for 0.8ohm and above; direct output with 40 watt limit for below 0.8ohm, providing the easiest switch from MTL to cloud production ever. 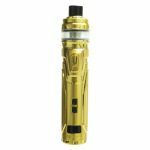 The Wismec Sinuous Solo is suitable for all kinds of vapers from MTL to enthusiastic cloud chasers, but all will have an interest in a really high quality pen style device. The Wismec Sinuous Solo introduces the 0.27ohm WS-M atomizer heads to the WS family for great flavour with moderately high power. 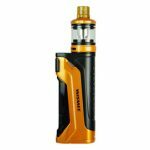 The Wismec Sinuous Solo automatically changes mode based upon the resistance of the atomizer, effotlessly switching from MTL to DL at the change of tank or atomizer head. This is a pen style device that focuses on overall quality of build and finish, and provides an understated sense of style in a market where “garish” has become an unaccepted norm for many. When fitted with an atomizer that has a resistance of 0.79ohms or lower, the Sinuous Solo will operate in bypass mode acting as a plug and play sub-ohm device. 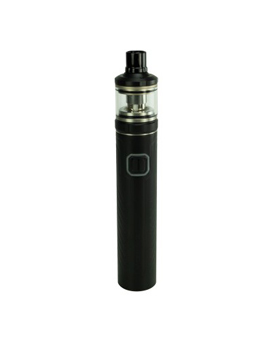 Fit an atomizer with a resistance of 0.8ohms or greater and this kit will perform with a constant power output of 14W.